In additional to an official WordPress plugin, if you're using WordPress, Drupal, or Magento, there are third-party plugins/modules that can be installed to route your site's mail through Mandrill. 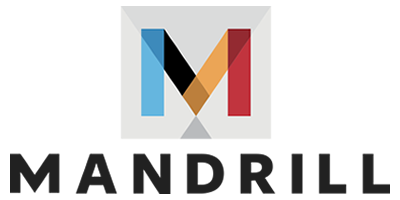 The official WordPress plugin for Mandrill is wpMandrill. It's designed to handle all of the emails generated by WordPress automatically and sends through the Mandrill API. If you're not able to use wpMandrill for some reason, or if you prefer to send via SMTP, there are a number of WordPress plugins for handling email via SMTP and, in theory, any of them should work. 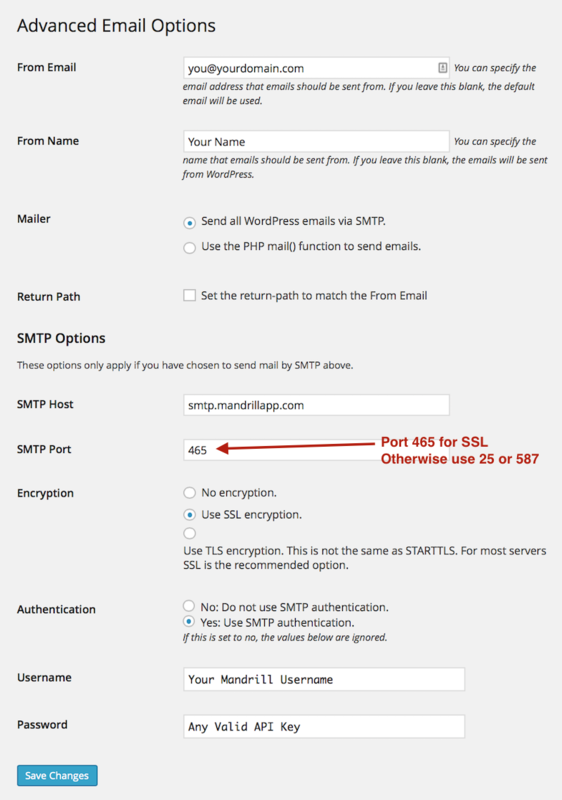 For example, you could use the WP Mail SMTP plugin using your Mandrill SMTP credentials. If you're using a different plugin, the below can help you adapt the settings for the one you're using. A third-party plugin is available from ebizmarts to sync your Mailchimp marketing lists with Magento, and now integrate your Mandrill account for Magento's transactional needs, such as order status emails: Ebizmarts MageMonkey Mailchimp plugin. A third-party plugin, Mailshot, offers SMTP or Mandrill integration. Please note that third-party plugins are not created or maintained by Mandrill. They are listed for your convenience only, and we can't guarantee these services or products.